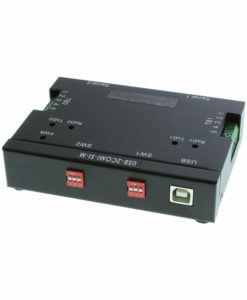 The USBG-4FTDI-B 4-Port USB to Serial RS-232 Adapter for newer computers and laptops that no longer include host serial port connection. 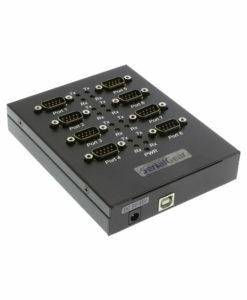 Supports 4 new serial DB-9 connected devices through a host USB port to act as a portable Serial Bus. Adds 4 RS-232 serial ports with Wake management functionality. Connects legacy devices to computers without native serial ports. 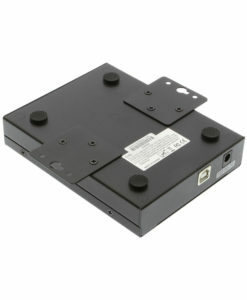 Supports optional power input for high power consumption devices. Supports 4 DB-9 Male ports with hex nut secure connections. 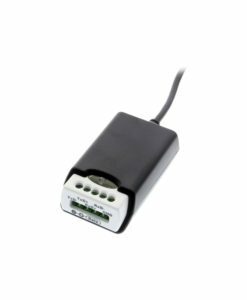 This 4-Port USB to Serial RS-232 Adapter provides an external Plug-and-Play solution to add up to four RS-232 serial devices to a USB-Enabled computer. Many newer computers, particularly laptop computers and handheld devices, no longer include the legacy serial ports, and desktop computers have reduced the number of serial ports supported. This serial adapter is supported by Windows 10. Users with serial devices may find themselves unable to communicate with installed equipment. The 4-Port USB to Serial Adapter is a great solution for connecting those legacy devices to a new computer. The four DB-9 serial ports ensure you’ll have the connections you need, when you need them. The USB to Serial Adapter can be conveniently powered by the external power adapter (not-included) or by USB bus power without the need for an external power supply. Energy-saving USB suspend-and-resume features are supported. Output: Four DB-9 Male Maximum Speed 230K per port. Mac OS-8.6 and higher, or Linux USB-enabled computer.